Parents screen time advice "obsolete". In the past decade, the amount of time British children spend online has more than doubled. This growth has been accompanied by a contentious debate about the risks and opportunities of ‘screen time’. There are dire warnings from politicians and in the popular press about the dangers of digital media to children’s health, relationships and well being. At the same time, many parents, including those with very limited time and financial resources, are investing in technology to help their children learn, connect and create. Recently, the LSE Media Policy Project and Parenting for a Digital Future held an invite-only workshop on ‘Families and ‘screen time’: challenges of media self-regulation’. Bringing together leading researchers, policy-makers, industry and parenting organisations, the event analysed the current advice for parents on ‘screen time,’ identifying where the gaps are and how new guidance might respond to the hopes and concerns of the next generation of parents. The event also invited feedback on a policy brief which presents insights from current research on families and digital media, including case studies from Parenting for a Digital Future. The brief summarises the diverse approaches parents take in ‘mediating’ (managing, restricting, encouraging and even joining in with) their children’s media use, including what the research shows to be effective. The brief also highlights how many of parents’ most pressing considerations – the age and gender of their child, their own household resources, whether their child has special needs and their own digital expertise – go largely unaddressed in the current ‘one size fits all’ advice, which largely ignores such diversity. ‘Screen time’ is an obsolete concept. As digital media become integrated into all aspects of daily life, it is more important to consider the context and content of digital media use, and the connections children and young people (and parents) are making, or not, than to consider arbitrary rules about time. Advice for parents needs to move beyond an overwhelming focus on risk. Only a very small proportion of advice presents parents with a positive vision of how to integrate digital media into their family life. We argued that when parents are told that their role is to police and to monitor, they are left unsupported in helping their children access the unique benefits offered by the digital age. A new generation of increasingly digitally savvy parents is challenging some long-held assumptions about how children, as ‘digital natives‘, know more than their parents. Although not all parents have high levels of digital expertise, parents’ values and practices in their own personal and professional lives are changing around digital media, which influences how these conversations unfold within families. Even parents with low-levels of digital literacy can and want to be resources for their children. Parents need support from policy-makers and from industry. Parents are already overstretched and need support to ease the ever-increasing burden of parenting. Regulators can limit access to some of the most objectionable content, so that parents have less to police. Policy-makers need to do more to provide resources and training for education and support professionals to help parents assess whether what their kids do with digital media is beneficial. It is also important that the resources already available are more widely promoted, linked to evidence, and supported by face-to-face contact with parents and professionals. 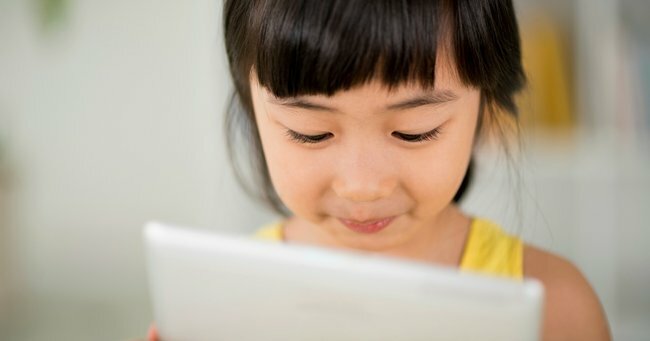 The children’s media industries can help by providing high-quality, safe and age-appropriate content (and evidence of its ‘educational’ value if that’s the claim), working with parents to keep children safe, including from commercial risks like in-apppurchases that can cause distress to parents and children alike. If the answer to these questions is more or less ‘yes’, then perhaps the problem of ‘screen time’ is less dramatic than many parents have been led to believe. This article was originally published on The London School of Economics and Political Science blog and has been re-published with full permission. Read the original article here. Alicia Blum-Ross and Sonia Livingstone explore current attitudes and advice to parents in relation to children and ‘screen time’ and asks whether it is still fit for purpose in today’s world. This blog coincides with a new Media Policy Project policy brief on the subject, authored by Alicia Blum-Ross and Sonia Livingstone. Alicia is a researcher and Sonia is a Professor of Social Psychology at LSE’s Department of Media and Communications. Together they lead the Parenting for a Digital Future research project.